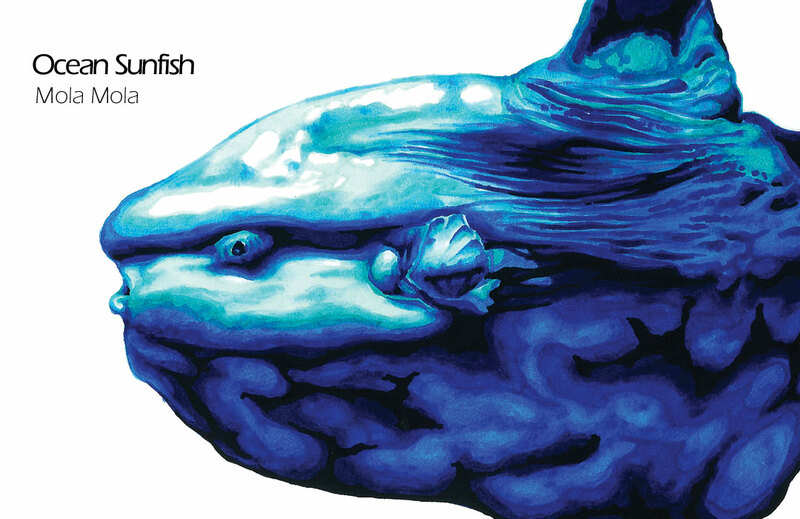 This is an illustration of the ocean sunfish. It's pretty huge, and is actually the heaviest bony fish known to science. It can measure up to 3 meters, and weigh more than 2 tons. What is funny is that the German name means "swimming head" in English. Pretty scary to see that face to face in the ocean. Animal drawing art description: Fine art drawing scientific illustration of an ocean sunfish. Color markers and ink drawing by Madeleine Dubé. 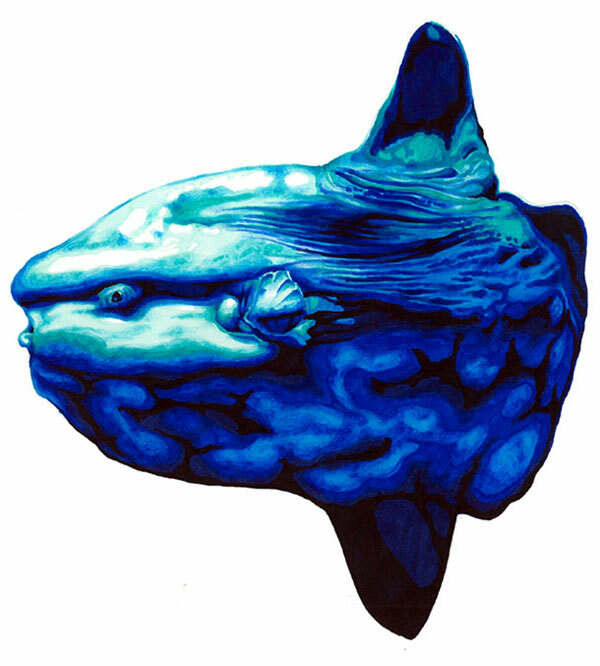 Ocean sunfish drawing artwork available for sale as greeting cards, postcards and high quality giclée print reproductions (8"x10" and 11"x14"). Ocean sunfish animal image available for licensing. Ideal for commercial uses such as print, packaging or advertising. For information contact me by email or by phone: 1-514-770-0705.